The Great Northern is Malta's only full service hotel. We have updated rooms, underground parking, a uniquely decorated coffee shop, elegant steakhouse, friendly lounge, and gaming area. We offer only the best in food to fill the hardiest of appetites. With home-style burgers, steaks cut fresh daily and homemade pies, you will feel right at home. Our hotel is your home away from home, with a cozy comfortable atmosphere, featuring newly remodeled spacious rooms. 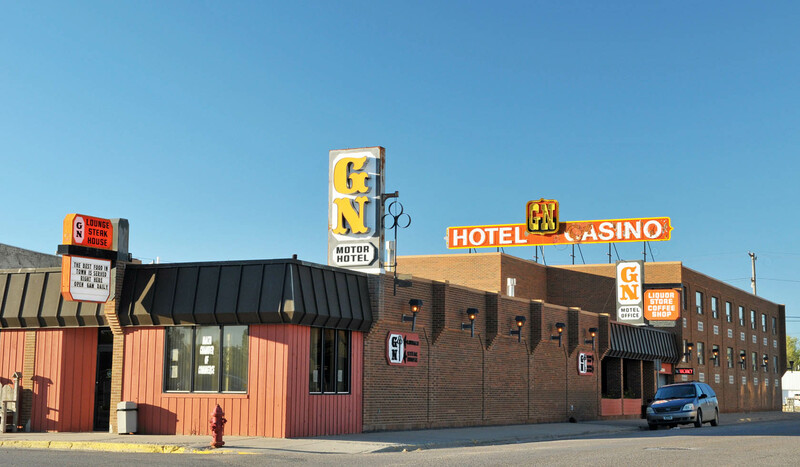 At the Great Northern, you will receive big city service and elegance combined with small town hospitality and friendliness, making you a stranger only once. Lounge, steakhouse, coffee shop, banquet and convention facilities. Queen and king beds, cable TV, indoor parking. ALL UNDER ONE ROOF.